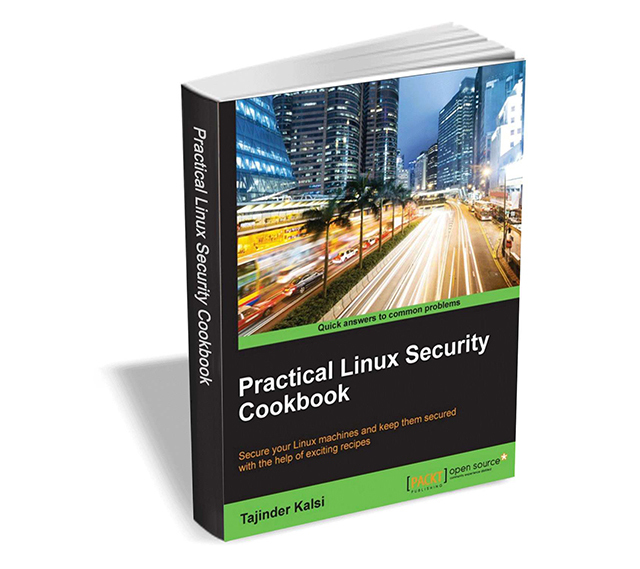 Practical Linux Security Cookbook, from Packt Publishing, will teach you how to secure your Linux machines and keep them secured with the help of exciting recipes. Whether you are new to Linux administration or an experienced user, this ebook will provide you with all the skills you need to make systems more secure. Learn about various vulnerabilities and exploits in relation to Linux systems. Configure and build a secure kernel and test it. Learn about file permissions and security and how to securely modify files. Authenticate users remotely and securely copy files on remote systems. Review various network security methods including firewalls using iptables and TCP Wrapper. Explore various security tools including Port Sentry, Squid Proxy, Shorewall, and many more. Understand Bash vulnerability/security and patch management. Practical Linux Security Cookbook usually retails for $22, but BetaNews readers can get it entirely free for a limited time. The offer expires on June 14, so act fast.